SALEM — The festivities kick off at 3:50 p.m. on Sunday, September 16. Amid the spectacular seaside gardens at The House of the Seven Gables, trustees, staff and guests will raise a glass to the 350-year-old Turner-Ingersoll Mansion, otherwise known as The House of the Seven Gables. And so begins A Taste of The Gables — a night of delicious foods provided by some of the region’s most esteemed chefs, a rousing musket salute, silent and live auctions, a photo booth, special surprises throughout the night and fireworks to mark the mansion’s auspicious anniversary. Proceeds from this important annual fundraiser support The Gables’ dual mission — preservation of the National Historic Landmark property and ongoing settlement programming for the region’s immigrant community. “The Gables has always been a part of my life,” says Brunonia Barry, this year’s honorary chair of the event and author of three award-winning, best-selling novels including “The Lace Reader.” “I grew up across the harbor. I’ve written a book onsite, at The Gables, inspired by the great house and Nathaniel Hawthorne. It’s a legendary place, both very special and also a part of the evolution of our city and our storytelling. The house, the architecture, its place on the harbor — it’s all part of us. We live in our history and we are informed every day by it.” Barry has attended previous Taste of The Gables fundraisers, and says she was thrilled to serve as honorary chair on this special year. “Taste of The Gables is a way to gather with people you see on an irregular basis, all together in the garden. It’s a celebratory experience that is always memorable. You gather and enjoy people you know and don’t know. I had so much fun bidding and I actually won. My literary agent came up to attend, as well. Neither of us had attended an auction before. It was kind of down home and upscale at the same time. Taste of The Gables is a real garden party!” Barry has donated some great auction items such as a book club appearance and 12 first editions of her third acclaimed novel, “The Fifth Petal.” Also exciting is the donation of a $2,000 gift certificate from Long’s Jewelers. The Gables will raffle 25 chances at $100 each to win this prize. Long’s will be onsite with a jeweler’s consultation table to answer questions about design, redesign and resetting. They will also check prongs on guests’ rings and provide repair information. For one-of-a-kind selfies, guests are invited to head over to the Photo Booth, which will be in the Counting House and run by The Creative Collective. Choose from a variety of Hawthorne-inspired props to personalize the fun portraits. As for the rousing musket salute, look for four reenactors from the Danvers Alarm List Company. They will interact with guests during the tasting and, at 6 p.m., deliver their formidable musket salute! Among the restaurants providing food at the popular tasting are Antique Table, Ferreira Foods Catering, Hawthorne Hotel, Mile Marker One, Root NS, Salem Waterfront Hotel, 3 Kitchen’s Catering, The Bancroft & Co., The Cheese Shop of Salem, Timothy S. Hopkins Catering, Turner’s Seafood, Goodnight Fatty, Harbor Sweets, Jolie Tea Company, Ye Olde Pepper Companie, 1634 Meadery, Far From the Tree, Ipswich Ale Brewery, Notch Brewing and Rumson’s Rum. The restaurant owners and caterers will be on hand, as well. “There’s no chance of going hungry!” says Barry. Festivities conclude with fireworks provided by Eastern Bank. “Earlier this year when Eastern celebrated our 200th anniversary,” says Bob Rivers, Chair and CEO of Eastern Bank, “we held a fireworks display for our employees and the neighboring community. We’re proud of our Salem roots and excited to host another fireworks show for the community to enjoy, this time to celebrate The House of the Seven Gables’ 350th anniversary.” “Since our founding in Salem in 1818, Eastern has been committed to supporting and advocating for the many communities in our market area. The Gables is an enduring symbol of promise, enterprise and immigrant communities. 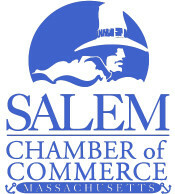 Our organizations both began with the idea of providing opportunity to people in the community when Salem’s maritime enterprises were thriving, and we continue today to be rooted in doing good things to help people prosper. We have supported The Gables for decades and are especially proud to have a part with the other sponsors in celebrating its 350th anniversary.” Salem’s bestselling author Brunonia Barry expresses a similar sense of pride and support. “There are 350 years of stories at The Gables,” she says. “That couldn’t be more relevant to me. It’s been proven we learn empathy through stories. And here we have this special mission and all the stories that go with it. And all the Salem stories, too. It all comes down to this house. It’s such an iconic, living, breathing entity. It’s lovely in terms of architecture and setting. There’s an ongoing vitality, a powerful connection between The Gables and the community, and that is what keeps it so relevant now.” To reserve a spot, those interested may visit the website at: 7gables.org/taste-of-the-gables. The Gables is located at 115 Derby Street in Salem, Massachusetts. Those interested may also call 978-744-0991. Sunday, September 16, 3:50 p.m.